The rapid spread of antibiotic resistant bacteria via birds could compromise the effectiveness of many anti-infective drugs. EURACTIV France’s media partner, the Journal de l’environnement reports. No part of the world has been spared by antibiotic resistance, even the most remote areas. In a study published in ‘Environmental International’, researchers found a resistant gene in bacteria in the Arctic Circle, only three years after it had been detected in urban water in India. Bacterial resistance to antibiotics, is a health threat which continues to grow. It could nullify these medicines’ effectiveness in fighting against infectious diseases and undermine the medical advances of the 20th century, which have reduced mortality caused by infection. Unsurprisingly, this resistance emerges in the places where antibiotics are most frequently used, such as densely populated areas and farming areas. In China in 2015, there was the example of resistance to colistin, an antibiotic used as a last resort for the most persistent germs. In contrast, the most remote areas, including polar regions, were considered to be relatively untouched by antibiotic resistance. However, the study conducted by David Graham, from Newcastle University appears to refute that. While analysing soil samples from the Svalbard archipelago in Norway, 131 resistant genes were found in the soil bacteria. Among these was the well-known blaNDM-1 gene, which attracted media coverage when it emerged in a hospital in New Delhi in 2008. Now found in most countries, including France, this gene has been observed in the environment since 2010, when it was found in urban water in India. Therefore, it only took three years for the gene to become established in the bacterial ecosystems of Svalbard, an archipelago east of Greenland with a population of less than 3,000 people. It is likely that the blaNDM-1 gene was introduced via excrement from migratory birds or by human visitors. 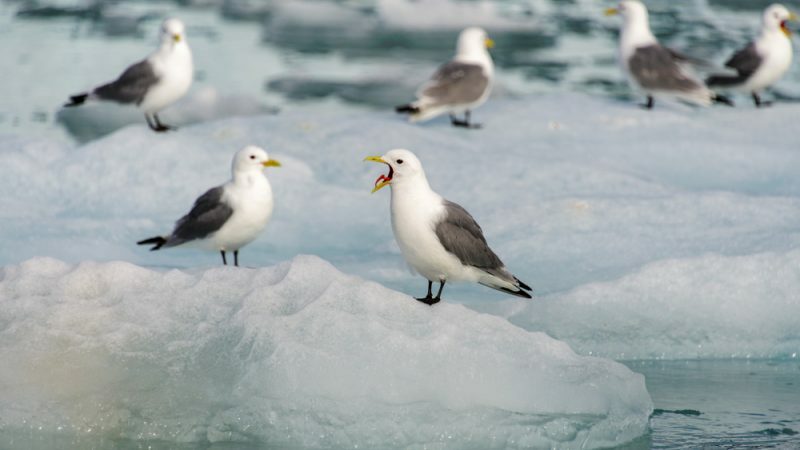 Seabirds would serve as an important mode of transport for antibiotic resistant bacteria. A year after it was discovered in China, the colistin resistance gene, mcr-1, was found in gulls in Lithuania and Argentina.